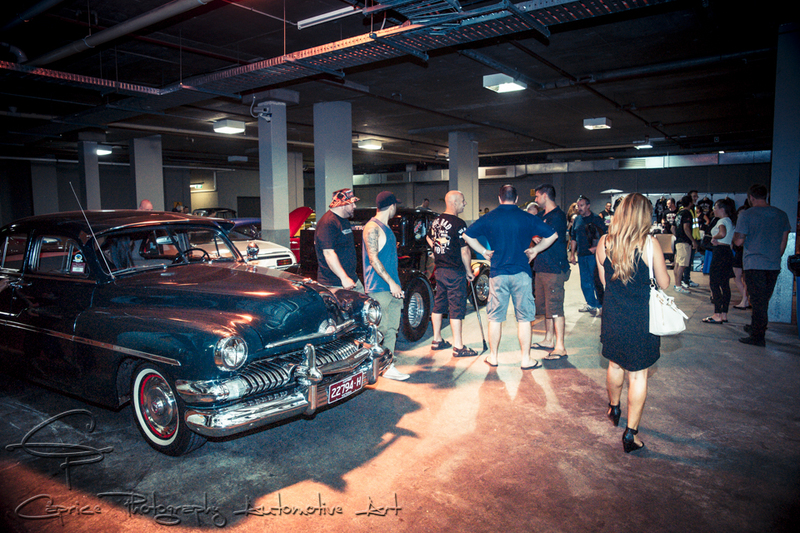 Once again Rob and Lam switched it up by choosing to hold their Christmas party in a basement of a multi-story carpark in the trendy yet artistic suburb of St. Kilda while also occupying numerous levels of the carpark for cool custom parking. The basement gave the party that underground, “too cool to be in the limelight” feel about it, giving those attending that feeling of being connected to a unique scene not known to the general public. As we headed down the ramp descending into the darkness, we are greeted by a bygone era when being cool meant being an individual with your dress sense, hair style and make up not to mention the style of your ride; low slung, white walls, tuck n roll and plenty of old s’cool bling or simply adopting the theory of less is more with your rod or cool classic ride. Trade stands overflowing with 50s merchandise mixed with the custom classics, barbers and makeup artists for those desiring a touch up. One end of the basement had the tinsel trees flanking the black and white checked dance floor to remind you what time of the year it was and why you were here, to kick up your heels of course! Accompanying the dance floor was the obligatory rockabilly band belting out the wild tunes echoing off the concrete walls of the carpark. 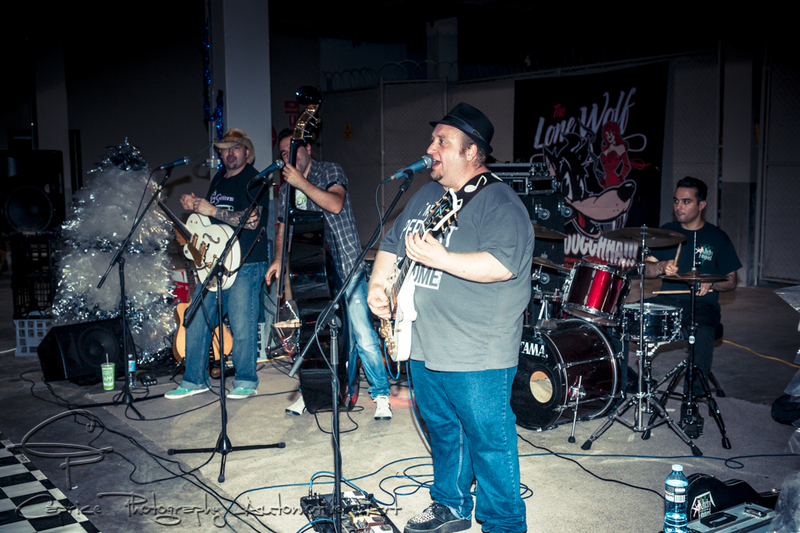 Bands such as Itchy Fingers, The Infernos, The mighty Kings featuring, first Rosy and then Heath Brady and finally Dizzy Davidson and band did their best to keep you rockin! 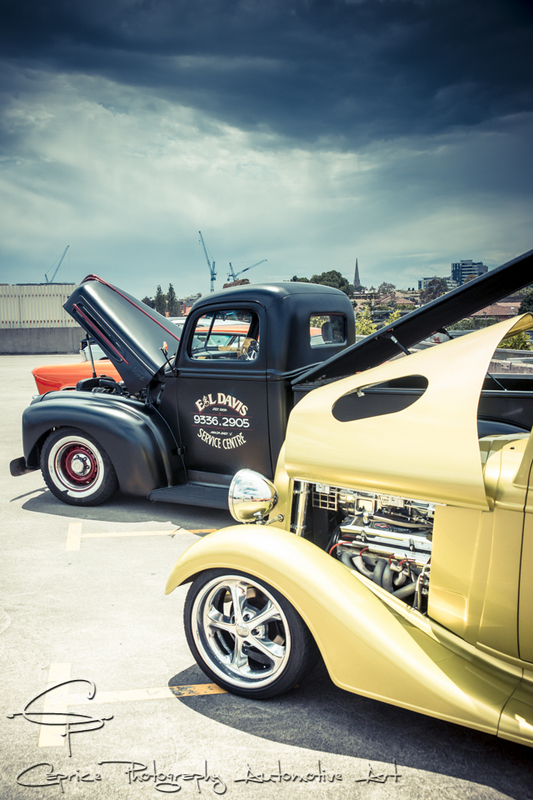 The bands rocked on throughout the day as the cool cats, their classy ladies and cool rides came and went as they perused the numerous gatherings of rockabilly fans located up and down the Princes pub carpark. From 4pm onwards, the bands, Ezrilee and Band and the Hills On Deck moved into the pub giving patrons and fans an excuse to stay on and keep refreshed in the Christmas spirit! By 8pm, it was time to wind up this mementos celebration of grand yuletide as the guys and dolls passed on their season’s greetings, raised their rides and headed for home content in the rockabilly revelry they’d absorbed throughout their Sunday! Have a merry Christmas to you and your family, stay cool and we’ll see you in the New Year and if you want to be part of Kingpin Kuztums next venture, find them on Facebook or stay tuned, I’ll keep you posted! Cheers Ray! I didn’t get them all as I had to leave early but definitely a great array of cool rides!